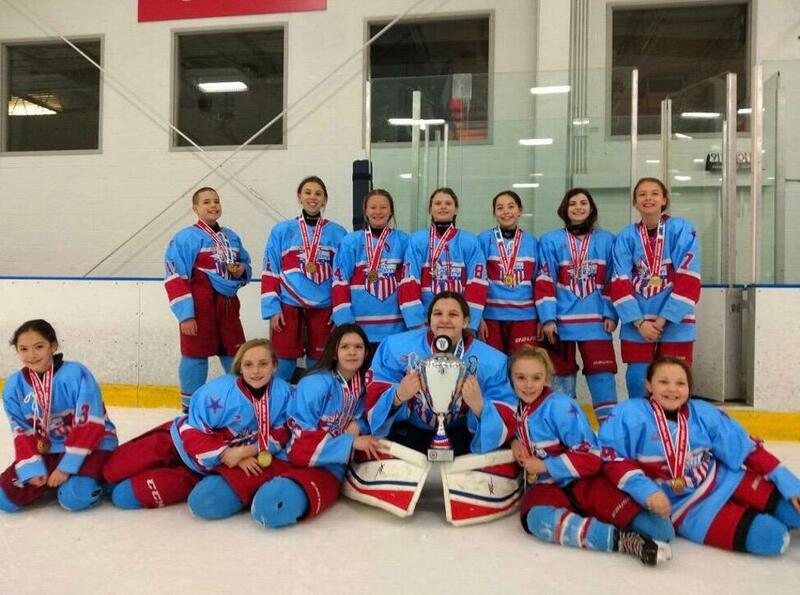 Affton Lady Liberty Squirt A2 won the 12U/14U Girls Rock-n-Roll Cup in Cleveland, Ohio. Despite being the youngest team in the bracket, Lady Liberty competed against all-girls teams from New York, Ohio, and Nashville and came out on top. Lady Liberty defeated Nashville Girls Hockey in a thrilling championship game. With no score after regulation and a five-minute overtime, Lady Liberty dominated in a shootout. Alexis Hutchinson was named tournament MVP. Congratulations to Coach Andrew Miller, his assistants, and the players.